The Daughters of Charity Non-profit hospital system has just finalized a deal that will hand the keys over to BlueMountain Capital Management, an East Cost hedge fund. 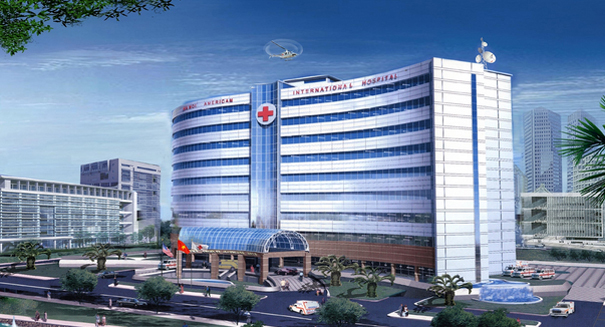 Do we really still need non-profit hospitals? BlueMountain Capital Management, a California hedge fund, seems to think not. According to a report from the San Jose Mercury News, the CA Attorney General Kamala Harris has just given the final go-ahead on a $260 million deal for the fund to purchase and assume management responsibilities of the Daughters of Charity Health System non-profit hospital chain. The deal finalizes a two-year transitional period during which the hospital chain struggled to find a buyer. The deal will keep the Bay-area hospital chain in operation for another three years at least, much to the relief of the public. The terms of the new deal are much better than the hospital’s last attempt at a sale, but some patients remain concerned about the change of hands from a Catholic administration to an East Coast hedge fund. An employee at O’Connor Hospital, however, has a different view. Along with a number of employees, Gregg Woods from the hospital’s environmental services department believes that the cash injection to the hospital’s operating budget might make up for the millions of dollars lost in the past few years. Employees actually consider the deal to be a good thing. The Daughters of Hospital Chains serve as a safety-net for a large number of low-income patients in the Bay Area, and has become the subject of concern in recent years as health care advocates worry that the hospital’s closure would leave thousands of patients without access to the care they need. The CEO of Daughters of Charity, Robert Issai thanked the CA Attorney General for finalizing the deal, saying that a cash infusion would help the system continue to provide good healthcare while protecting the rights and benefits of its current and past employees. BlueMountain Capital management will loan up to $160 million to the hospital system, in addition to paying a $100 million purchase option after three years. Harris required that $180 million be “invested” in capital improvements throughout the hospital system as a part of the deal. The deal will end the affiliation with Catholic management systems as the $21 billion hedge fund prepares to take the reigns. The chain will be renamed Verity Health System, and the new management team hopes to keep the hospital open for many years to come.